Playworks Maryland is about seeing the value of recess and helping kids getting the most out of these short breaks in the school day. They do this by training supportive adults to coach recess time so that kids learn about safety, fairness, and leadership. 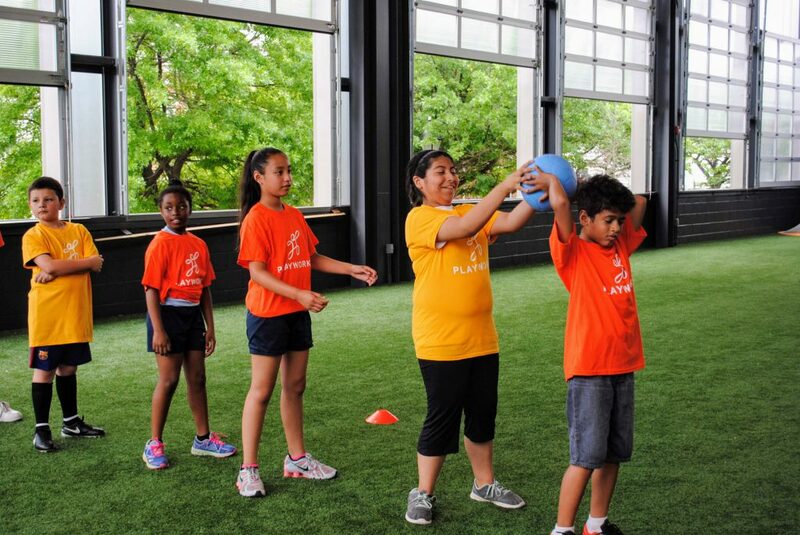 And of course, Playworks coaches also teach kids new games that are lots of fun! Kars4Kids: What exactly does Playworks do? Danielle Marshall: Playworks is the leading national nonprofit leveraging the power of play to transform children’s social and emotional health. Through direct-service coaching of kids and training for school staff, Playworks partners with elementary schools, districts, and after-school programs to integrate games into recess to create a welcoming place for every child on the playground. With an emphasis on social-emotional learning and skill-building, students feel included while being active and developing valuable skills needed to thrive in the classroom and beyond. Playworks is ensuring that 1 million kids at 2,000 schools experience safe and healthy play every day in the 2018-2019 school year. Kars4Kids: What makes children fight and create chaos during recess? Danielle Marshall: That is an interesting question. Children often find themselves in conflict at recess because they are still developing self-regulation and conflict negotiation skills. If you have never had the chance to explore what to do in the event that two children get to a base at the same time, or one child has a ball that another really wants, you don’t know what to do and fights will break out. At Playworks we have introduced the concept of Ro-Sham-Bo or Rock Paper Scissors to our students as means to reduce conflict. It is amazing how such a simple tool can work so well. Other reasons fights can break out is children not knowing how to engage with their environment (ex. Do we swing jump ropes in the air around our heads, how do we decide who goes first), not being aware of the rules of a game, which can lead to kids feeling excluded, and sometimes it may simply be a matter of not having enough materials present. Kars4Kids: Do children really need a referee for free play? What does this say about our society? Danielle Marshall: Playworks coaches are not at schools to serve as referees, rather they are there to set up an organized recess, providing a variety of different games/materials, ensuring kids understand the rules so that all children can be included, and finally making sure that there is a clear understanding of the boundaries. We are on the recess yard to provide caring and consistent adult presence, where kids know they have our support but also feel empowered to lead their own activities. Kars4Kids: Why is recess important? Danielle Marshall: Many educators report recess as being the most challenging point of the school day during which conflicts arise that can carry into the classroom. Recess is often undervalued and many kids end up on the sidelines. In the last decade, nearly half of all school districts nationwide have either completely eliminated or reduced specified time for recess. 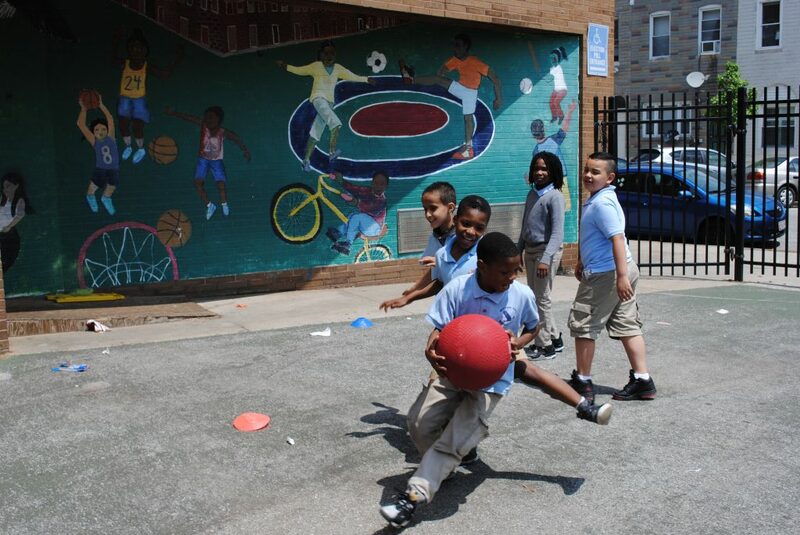 Playworks is working to ensure that play is an integral and necessary part of the school day. What happens on the playground affects the entire school culture. Research as reported by The Atlantic suggests that students who play develop healthier lifestyles, are more attentive in class, and achieve greater academic, social, and emotional success. Playworks offers an externally-validated program that has a positive impact on kids, school staff, and school culture. Kars4Kids: Why is play important to child development? Danielle Marshall: Play is how children learn best. It provides them an opportunity to act out situations, try on new roles, and express themselves physically. There is no one right way to play so children are free to explore and test their own limits. If you think about adults many of us learn through hands on experiences, for children there is a similar need to be an active participant in their environment and for them that means play. Kars4Kids: What should educators be doing to improve the quality of recess in schools across America? Danielle Marshall: First and foremost, educators must make sure recess is protected and occurring every day. We see more and more states now stepping up to mandate recess in their school districts. Research has demonstrated many times over that children need brain breaks and physical activity during the day and that they return to the classroom better prepared for academics when they have had a chance to stretch their legs run around and simply take a break. Secondly adults can act as supports for children by being willing to jump into a game at recess themselves. I am not suggesting that adults dictate games and activities rather that they help cultivate an environment where children can maximize their play sessions. Adults should also be willing to join in children’s play when invited. It is an opportunity to get on a child’s level, see the world through their eyes, and build relationships that may not exist in the traditional classroom setting. Kars4Kids: What do teachers think about Playworks? 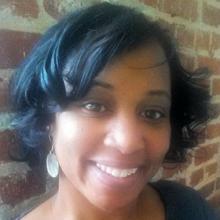 Danielle Marshall: We get great feedback from teachers every day. Playworks has helped the school become a place of peace. It has been very helpful I’m learning new things every day because of Playworks and Playworks is helping me prepare for the next step in my life as educator. I love Playworks and my students and staff do too! The energetic positive attitudes of the coaches are contagious! Ro- Sham-Bo, Butterfly Tag and Match Me are a few of my favorite things I have seen teachers take from class game time and use in their classrooms. I have a student with some special needs, which includes some extra physical challenges. He really is not a fan of regular gym, as I know he feels like he can’t always keep up with his peers. But, Playworks has provided him a way to, not only be included in cooperative play and physical activity with his peers, but also allowed him to come out of his shell, and be more confident. I absolutely love seeing him participate in Playworks. I do feel like the program has helped him grow and strengthen his sense of his own, awesome self! Kars4Kids: The Playworks website quotes a parent of twins with autism who extols Playworks for helping to mainstream her twins within the general school population. A second parent praises Playworks for turning trouble-makers into leaders through empowerment. Can you describe some other Playworks achievements or success stories? Danielle Marshall: Through our Junior Coach program we see successes every day. 4th and 5th grade students have an opportunity to serve as leaders on the recess yard and throughout the school. Kars4Kids: The Founder and CEO of Playworks, Jill Vialet refers to recess as a “powerful tool to make classroom time effective, productive, safe, and inclusive.” How do the goings on at recess impact the dynamics of the classroom during lesson time? Danielle Marshall: I love this question because it has an obvious answer that most of us tend to overlook. First our goal is to create a safe and inclusive playground, which means multiple children get to be leaders, children are open to hearing others’ ideas, and actively engage in modifying games so that all children can play. These strategies among others serve to create a positive school climate for students. Students tend to learn best when they feel safe and included. Additionally, consider what might happen absent conflict resolution strategies on the recess yard. If two children get into a fight it doesn’t end when recess is over. It follows them back into the classroom where both children are now distracted and unable to learn. By empowering children with strategies to negotiate conflict, they are able to use these techniques in the yard at recess, and in the classroom, and this ultimately helps them to focus more on academics during class time. 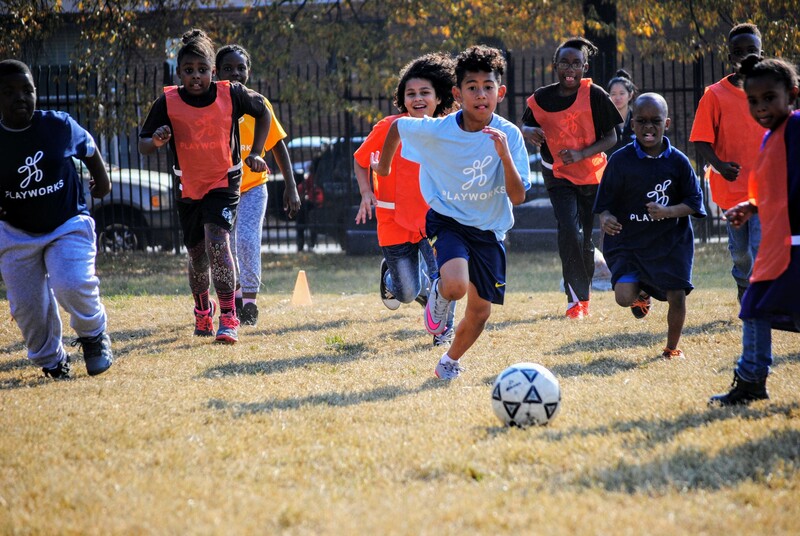 Kars4Kids: What’s next for Playworks Maryland? Danielle Marshall: Playworks Maryland has expanded our reach through our Coach program beyond Baltimore City and we are now additionally serving Anne Arundel County. We will always call Baltimore City home but understand the growing need for our services throughout the state. Additionally, we have launched Playworks PRO and PlayworksU as professional development workshops and online modules that allow educators and Out of School Time providers across the state to learn from our best practices. We may not be able to directly serve every school in Maryland, but we aim to empower every school to have a safe and healthy recess.